You're going to want to bookmark this page! Check back often for great deals and exciting offers. Are you with a church or non-profit organization? 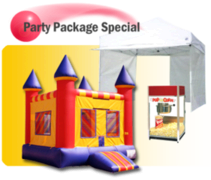 Contact us to inquire about special rental rates! Do you throw multiple events a year? Ask about our advance booking process! We hope you enjoyed your experience with Bounce Around Austin and hope you tell a friend all about it. 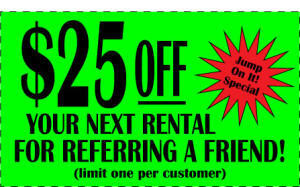 Now when you do, just have them mention your name or give them this clip out coupon and you'll get $25 off your next rental. School is getting back to business, and with that many support organizations are gearing up to raise funds for their favorite groups. 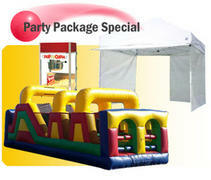 Bounce Around Austin has created a special package that gives you the tools for a successful fundraising event. 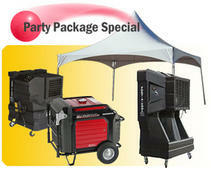 Cost effective, complete solution that's a bunch of fun!